AHP is helping struggling homeowners nationwide to avoid foreclosure and announced today it has extinguished more than $2 million in negative equity in one of its distressed mortgage pools, 2013C. In total, AHP has extinguished more than $50 million in negative equity since the company launched in 2008. AHP purchases pools of distressed mortgages at significant discounts from banks and lenders and provides loan modifications and other solutions to keep families in their homes. After the housing bubble burst, millions of homeowners nationwide were impacted when the values of their homes suddenly plummeted. AHP buys the pools at big discounts from banks and lenders. In turn, AHP shares the discounts with borrowers in order to eliminate negative equity by reducing principal balances to figures that align with the property’s current value. One of the borrowers AHP was able to assist in pool 2013C was Eric from Ohio. Following the death of his father 12 years ago, Eric moved into his father’s home. Eric was just 22-years-old at the time, and in 2005 he refinanced the home into an adjustable-rate mortgage. Eric admits he was young and naïve in making this decision, but when he fell behind on payments, he feared he would lose the home his father left him. Eric eventually received a letter from AHP stating the company had purchased his loan and could work with him to find a solution. AHP was able to settle Eric’s several years of delinquent payments for $2,000 and lower his monthly payments from $481.37 to $340. Additionally, Eric now has the option to settle his previous unpaid principal balance of $57,261.22 for $32,300. Since crowdfunding its first pool of distressed mortgages, AHP has crowdfunded two additional pools, raising over $5 million. 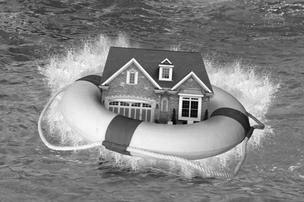 The company will launch its fourth investment pool of distressed mortgages this week. AHP launched in 2008 as a combatant of the foreclosure crisis in Ohio and now operates in Chicago.